This is an extremely simple solution to a well-known problem. All those inflatable toys need some air when you arrive at the beach. So you either bring a bulky electric air pump or you need to be in great physical condition to fill up all those inflatables with your mouth. Or, you bring along the Fluxbag, which is just an empty bag that is filled with a gush of air (or technically the Bernoulli effect), closed tight and can then serve as an air pump by squeezing out the air into your inflatable toy or mattress. It not only outperforms manually blowing up an inflatable, but also a foot-pump or electrical pump. 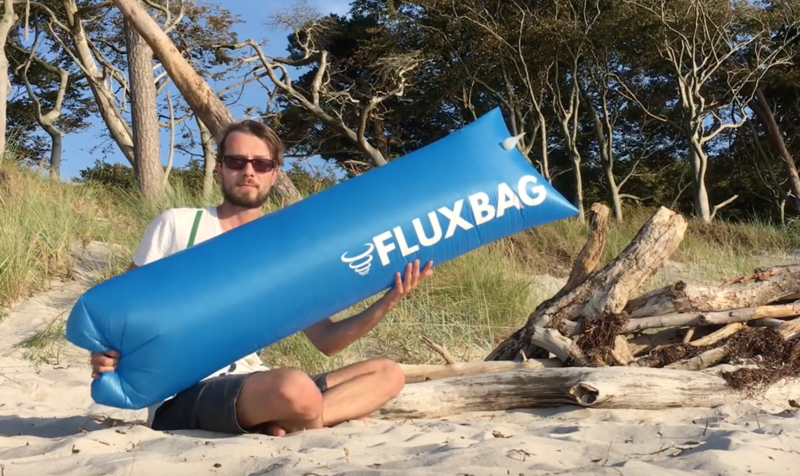 The Fluxbag is a piece of German engineering which was featured on the German ‘Shark Tank’ and is now sold internationally. With it, you get a set of valves that will fit all of your inflatables. XXL PUMP SACK: Inflates sleeping pads and other items with just ONE breath - breathe just once into the FLUXBAG and then push the air quickly and effortlessly into any inflatable item.